Visit the Swisspearl Booth #1562 where Swisspearl and Cladding Corp Representatives can show you the latest innovations in fiber cement rainscreen designs. 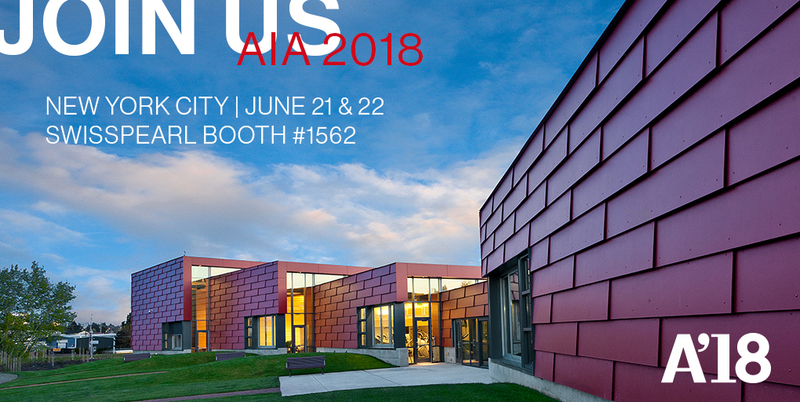 The Expo at the AIA Conference on Archiecture 2018 will be held at the Javits Center in New York City, June 21-22. Please stop by!